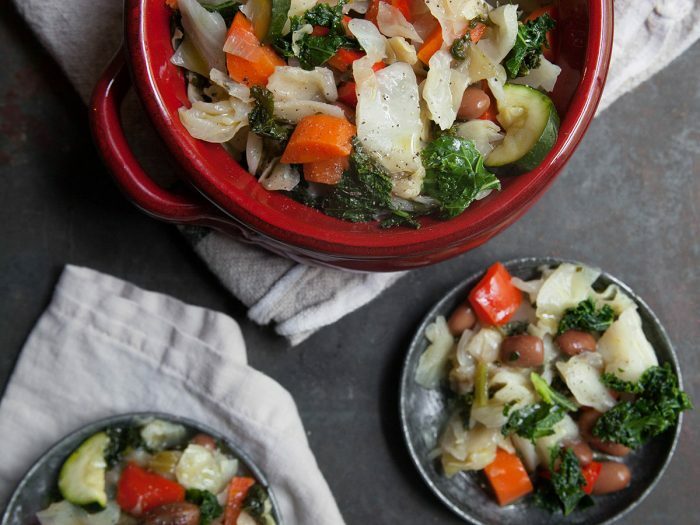 Colavita by Mike Colameco: Greens and BeansThis hearty vegan cabbage and bean stew should satisfy most meat lovers as it is both rich, tasty, and filling. Finish it off table side with a drizzle of Colavita EVOO and add a few slices of fresh ciabatta or toasted baguette and glass of wine and call it a very healthy meal option. Make extra as it's great reheated the next day or two as well.